Dynamic Duo here refers to uber bloggers Big Dog and A Voice, not the two tussling men in the picture above. And one thing I've learned is that whenever the DD breathe fire onto an issue in synchronicity, you can expect a major corporate crisis or socio-political drama to be unraveled soon after. 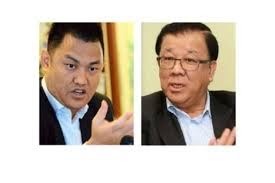 They have been at it enough times before: they campaigned to say NO to the blatant takeover attempt of IJN, denied Tony Fernandez and Sime Darby the contentious Labu airporrt, forced Francis Yeoh to drop out of a controversial deal with the Sultan of Johor (and these two are anak Johor, mind you! ), and derailed a Khazanah plan to hand Malaysia Airlines to its bitter rivals Air Asia via an ingenious share swap agreement that was later nullified by the Prime Minister himself. And, for the uninitiated, they were also an integral part of the old blogosphere that waged a cyber war against an Umno president and brought his entourage down unceremoniously (and last I checked one of them is still a life member of that party!). So when the DD started to churn out a posting after another on their blogs related to this public-listed company called Protasco, I sense a corporate storm lurking ahead. D aim Zainuddin won't exactly be in the eye of that storm - he had sold out his shares in Protasco to the younger man in the top pic (left) after a falling out, purportedly, with the uncle (right) - but it's interesting to know that Tun D was there. Some people believe, in fact, that the former Finance Minister had never left Protasco! The shareholders of Protasco have two EGMs to attend later this month called by the opposing parties on the Board to try and cancel each other out. For sure, however, the fight won't end on the 26th or the 28th as police reports have been lodged, legal threats issued, and statements recorded to the authorities. Expect the SC and Bursa to fly in. Maybe even the men in black at the Malaysian Anti-Corruption Commission (which will be awkward since a high ranking person from the MACC is seated right smack at the top of Protasco!). 1. The Mad Hatter by Big Dog -- What is MACC doing in Protasco? If Tun D had left and sold his shares, WTF is Dato Ibrahim Mohd Nor staying on in the Board of Directors? Each side alleged the other are swindling money out from the company. If the two Tey and Ooi are wrong, fine. They are not management. If it is done with them not as director, no issue. Let the law takes it is own course. Should it be Chong that is guilty, that is a relevant issue. He is in mgmt. It means company is run by a dishonest mgmt. Which way is Ibrahim siding? If Ibrahim sided with Chong, it could implicate Tun Daim since brought him in to lead Protasco. Question is how would an ex JKR Engineer afford to own more than 20% in Protasco? Hadenan should be curious as to whether his mgmt took a cut from company's contract. Money laundering and CBT could have occurred right in front of his very face. If it is not his then for whom is Chong holding on those shares? Daim? That could be why Ibrahim is around pretending as independent director when he is not. The irony is why would Daim need to resort to cheating the Tey and Ooi fella???? MACC name is also on the line. Do they dare investigate their own chairman???? Dr. Chong 20 years as servant and 10 years as a staff, suddenly set free like dog out of cage cannot walk and falls down end up blaming his saviors. Worst off trying to eat his masters. In the cage, it's a good dog. Why let the dog out? It can't differentiate ethic and moral, more over, forget about syukur or ampun, terima kasih also don't know, when panic it kills his masters! Cage him for social safety! Unless you are on the side of Tey Por Yee the fact is this syndicate he leads has been up to no good for some time now. Here are the voices Hadenan and Chong don't want people to know of their cover up. Chong Ket Pen coward and put blame on his partner to make him take all the lost and Chong eat the company. Protasco is nothing compared to the rubbish taking place at 1MDB. Infact, Protasco is of no public interest compared to 1MDB. Focus on the right issues ok.
Actually all those who have dealings with the Tey Por Yee syndicate and also the public at large should take note of this cautionary tale. Beware of spammer syndicate hired by Chong Ket Pen to cover up his mistakes by putting a blame to his victims. 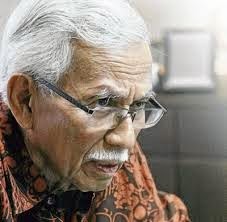 This is not Chong first time he put blame on others - from many of his co workers in JKR, later his partner Hasnur, and his boss Tun Daim, and latest his two investors Tey and Ooi. Chong own cover up in siphoning public money with cronies in public services is ill sickening. Public should know the truth.